The discussions surrounding student-athletes and whether they deserve to be fairly compensated for their athletic achievements through their school has been long and circular in nature. Many people say that athletes should be paid, mainly because the schools themselves are profiting off them in the form of endorsements, tv and radio deals, donors, and ticket sales for athletic events, while others say that the scholarships that many of the athletes receive should be enough compensation and that they are students first. I am interested in writing about and researching this topic because the knowledge I have now is limited, and I would like to increase it and see both sides. 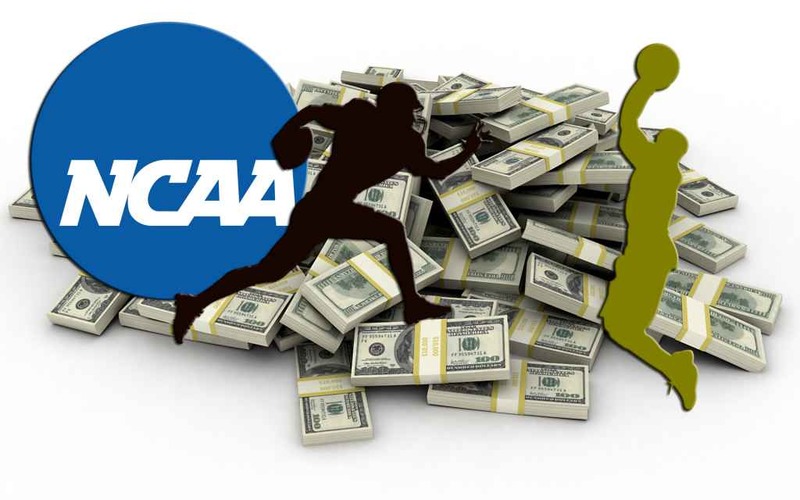 While the NCAA has a point in saying that student-athletes are students first and amateur athletes second, I think athletes who have been born with the talent to exceed in their sport deserve to be fairly compensated for it, whether it is the school, conference, or NCAA paying them, or through endorsements or sponsorships from external sources. College can be a stressful time for all involved. A new environment, maybe your first time living alone and having to make new friends. You can get wrapped up pretty quickly in the college life style of staying up late and not getting sleep and that can catch up to you quickly. Your mental health is important and these two articles prove that anxiety is a real issue in many people’s lives and they need to be aware that there is help and ways to lessen your anxiety. If the stigma of mental health gets taken away hopefully more students would seek help and not be afraid to talk about their anxiety or depression. What I liked about writing the first essay was that I felt more than prepared to write about my topic based on all the time we spent researching and prewriting. What I liked about writing my first essay was that I was able to choose the topic and argue for my side. A challenge that I ran into while writing was finding a view against my opinion. College tuition is generally an agreed upon subject, most people think it is too high. I found it challenging to find opposing viewpoints and incorporate them into my writing. I also found it difficult to find sources that were focused on ways to reduce college tuition and how the general public should go about doing it. For my next paper I will focus more on outside views that propose solutions for lowering tuition to strengthen my writing. One of my sources that I plan on using in my research is an article called Tuition: College Tuition; The Shattering Explosion, found on proquest. The article explains how American colleges are commended for their accountability and quality of education, but they must be made more affordable. The article notes many politicians have taken notice of the issue and pledge to put a halt to the constantly increasing costs. The obstacle these politicians are facing is how to keep the costs in line and prevent a constant rise in tuition. I bel ieve this is a great article to include in my paper because it clearly explains what is trying to be done to resolve the issue. But the question left is, how can politicians control the tuition and can they gain enough support to pass legislature? The second source that I found will have a specific role in my research assignment. The article I found on proquest called College Tuition: [Sports Final, C Edition] will serve as an explanation to why tuition seems to be increasing over the years. This article will give me enough information to support my argument against rising tuition costs. The article describes the decrease in education funding and where the missing funds are being compensated from. The topic I chose to write about is high tuition and the constant increase in tuition over the past decades. The issue here is that tuition has reached a price where students can’t afford to attend the school they want to go to, or they accumulate debt that stays with them for most of their lives. I’m interested in this topic because it is something that affects myself and the people around me, it is something that I can relate to easily. It is a current issue that affects millions in the United States that conflicts with the education system and the amount of teens going to college.